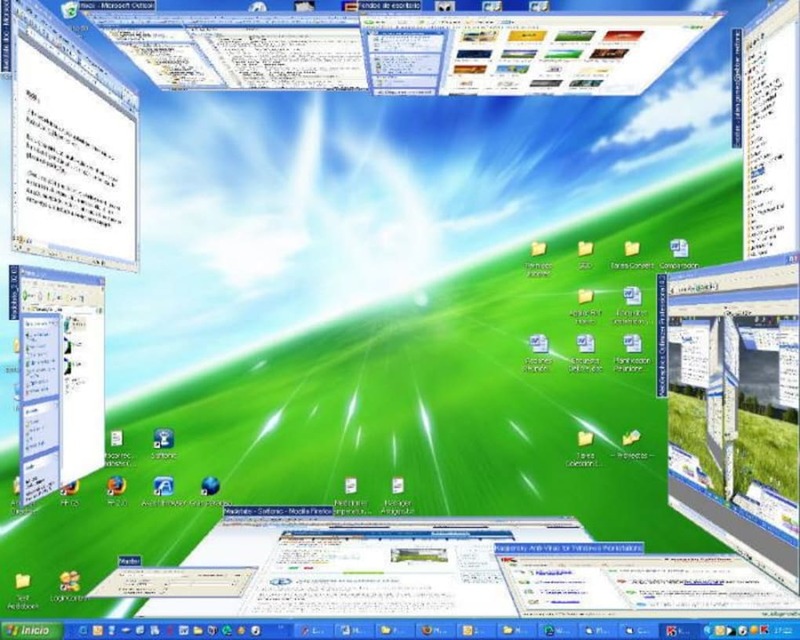 If you find your desktop gets overwhelmed by too many open windows there are a number of solutions, from the extravagent like investing in a second monitor, to applications that try to give you an expanded workspace, like the spaces feature of Apple's OSX Leopard. 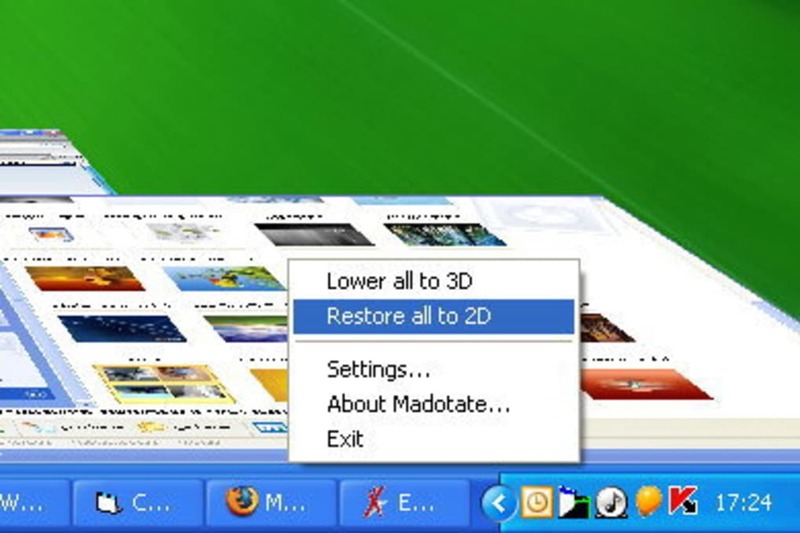 Madotate is a free English language version of a Japanese developed tool that adds a fourth button to the top right of your windows. 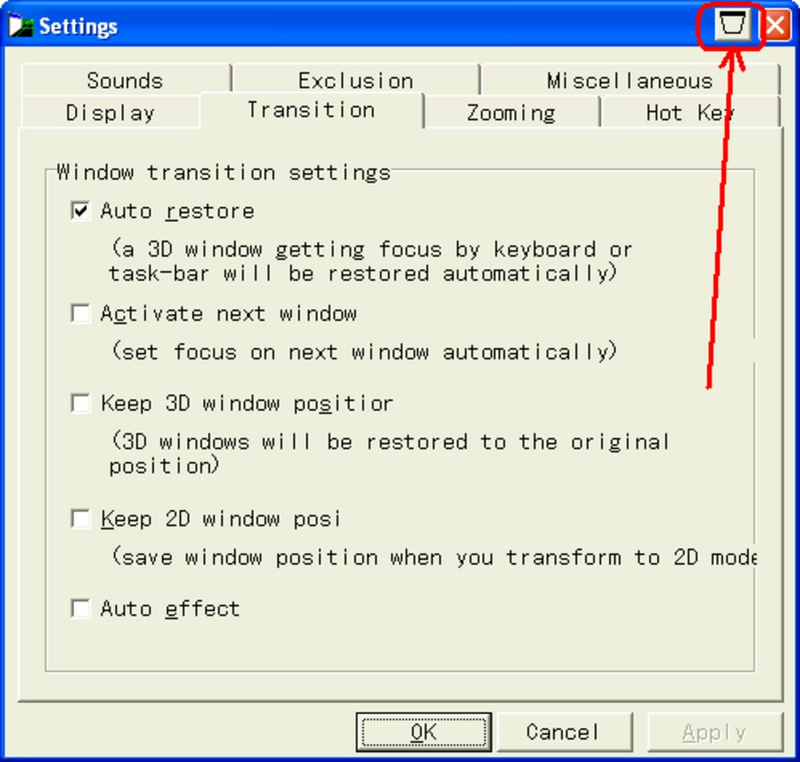 Alongside close, full-screen and minimize appears a 3D button. Clicking it will transform your window into a tabbed 3D image, which takes up much less room. The app was designed for Windows 2000/WP, but also seems to run fine in Vista. The only problem we found was with Adobe Air programs - they don't crash or slow down, but don't transform properly. This was developed before Adobe Air, and unfortunately hasn't been updated since. 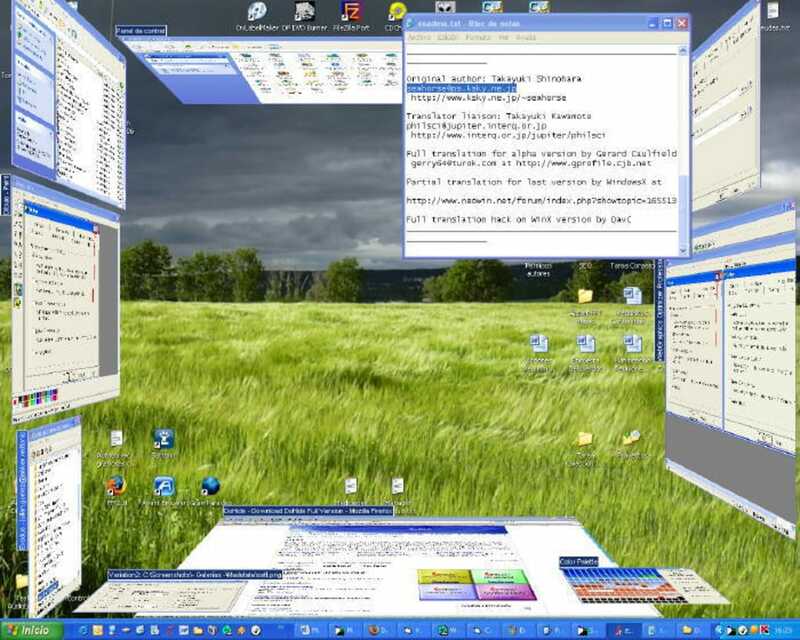 The 3D effect is quite cool, but if you've played with Deskspace it seems pretty basic in comparison, although Madotate has the advantage of being free. Matodate is a resource friendly way to add a space saving 3D effect to your windows. no multi-monitor support. does fine on one monitor. with multi monitors ( i have 3), you can't move the 3d windows to another monitor screen. if you 3d a window from another monitor, it goes to the main monitor, and restores to the main monitor and not the original monitor. i use winflip and shockway 3d in combination with it..
i also think you need framework.net in order to run it properly. Try again, it's worth it. Well, okay, i can't say if it's "worth" it for You, but i think it's cool. The download works now, so try again. If it doesn't, try a different browser or adjust your browser settings or external pop-up filter to allow pop-ups from this site. Installation is easy for those who know how to handle ZIP archives: Just extract it to a folder and run "madotate.exe". It runs stable with most applications. Press the new little icon that appears next to the minimize icon. Use the arrow keys to move a focused window, "page up" and "page down" zooms the window and "shift" + arrow keys flips the window. The hotkeys can be changed in the settings. Simply click on a window to go back to normal view. What do you think about Madotate? Do you recommend it? Why?